I don't think it's even possible to put together a sewist Christmas gift guide without mentioning Pink Coat Club. Literally everything in Joy's shop is gorgeous, so I struggled to choose just one item to add to my list! This book has been all over Instagram lately, as it has just been released. Perfect timing for adding to the Christmas list... I know it's on mine! Em Makes and Bakes has some gorgeous products in her Etsy shop. Please go check her out - I have so much love for her Mama products too. This pouch would be perfect for any sewist needing a little tidy up of all those little bits and bobs we have strewn across our sewing spaces! I think PatternTrace paper is probably my favourite sewing product in the world ever. I always recommend this stuff! It comes on a huge wide roll AND you can sew straight it. Magic! Perfect for making a quick toile, or just using as really posh tracing paper! I was given one of these last year, and it has been one of my favourite sewing room products. It has a super strong magnet inside (I still can't see/work out how they got it in there! ), and you can either use it as a pot - or what I do is turn it upside down as more of a block. It looks so cool - and is insanely useful and practical. Plus - someone made this! Absolutely love this illustration on Crafty Pinup, Abi's, gorgeous tote bags. She also has pins of the same image in her shop too. 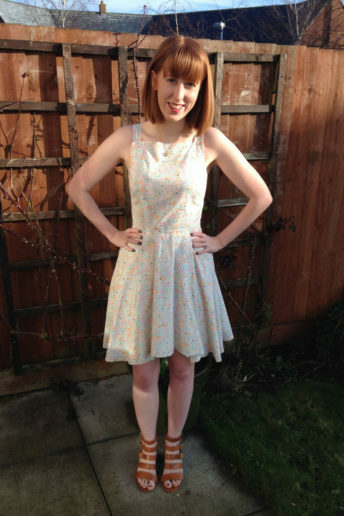 Plus she's an all-round sewing mega babe! Hope you've liked seeing my picks guys. Happy Christmas shopping!